Don't call Annie Clark crazy — she's eccentric. The powerhouse girl that goes by St. Vincent, Clark released her hallucinogenic new self-titled album this February, and the opening track, "Rattlesnake," is the perfect summer song, especially for its hypnotic, hallucinatory lyrics. 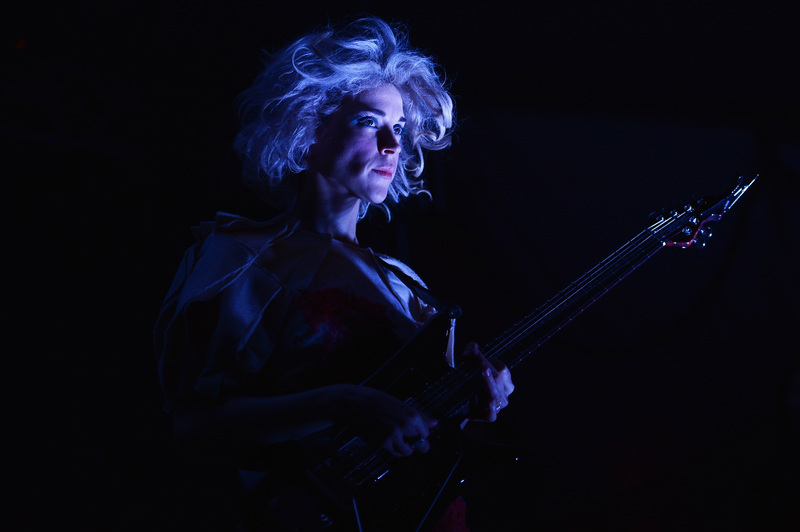 It's got all those Clarkian edges that made you fall in love with St. Vincent in the first place: her gorgeous voice that's got the highest of highs and the lowest of lows, the strange lyrics and imagery, and the disjointed, a little unnerving beats. Play it all summer, especially if you want to feel restless (or already are). "Am I the only one in the only world?" Clark asks on the track, which is about, literally, coming face to face with a rattlesnake in the wide, empty expanse of her friends' cattle farm in West Texas. And, oh yeah, she was naked. In an interview with All Songs Considered, Clark admitted, "I took my clothes off, and I was having this commune with nature, when, all of a sudden, I heard something...it was very distinct: It was a rattle. And I turned my head just slightly, and out of the corner of my eye I saw a rattlesnake. And I just took off running." A desert girl myself that has come face to face with a rattlesnake (albeit in my parents' kitchen pantry, not in the desert wilds) and knows that particular, sweaty fearful stillness of a desert night, "Rattlesnake" is a track that encapsulates a certain kind of summer. It's a summer that's anxious and buzzing with energy, the kind of summer that makes you want to run. I love the chorus on the track, which is just Clark breathily, and in beautiful melody, singing "ah's" (really hard to transcribe, which is why you must listen!). It's backed by very bare but thrumming beats, and sounds a lot like the offering St. Vincent gave us with David Byrne, Love This Giant. It wonderfully captures a feeling of the excited fear of the unknown. The track is probably the best off of St. Vincent, and that's a tall compliment — the whole album could give you the energy to get you through a summer that otherwise might be sluggish.